Mumbai, formerly Bombay, is the capital & biggest metropolis city of the state of Maharashtra in India. This, the most populous city in India is also the wealthiest in all of the South, West & Central Asia. It was originally an archipelago constituted from seven islands which were later connected & developed to transform Bombay into a major sea port on Arabian Sea. Passed on from Portuguese to British & later to independent India, Mumbai is a cup full of energy. 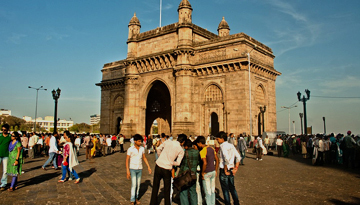 The best time to visit Mumbai is from October to March. If you can stand the heat & humidity, If you plan to visit Mumbai somewhere between January & February then you can enjoy the nine day long cultural festival known as Kaala Ghoda. It showcases the music, dance, theatre, art, literature, cinema, food & street stalls of Mumbai. Mumbai has many flight connections from the UK and therefore it is easy to find cheap flights to Bombay, once there consider a visit to one of the popular cultural attractions such as; Siddhi Vinayak Temple, The Elephanta Caves, Bandra-Warli Sea link, Afghan Church, Mahalakshmi Temple, Global Vippassana Pagoda, Nehru Planetorium, RBI Monetary Museum, Mount Mary Church, Bordi Dahanu, Titwala Temple, Taraporevala Aquarium, Essel World & Mani Bhawan. South Mumbai is known for its colonial British style buildings, nostalgic streets between Church gate & Colaba, the majestic Chattrapati Shivaji Terminus (Victoria Terminus) which is now a world heritage site, Flora fountain, Gateway of India, Asiatic Society & the Taj Mahal Hotel. For explorers who like to roam about on foot, Marine drive is a lovely promenade, especially with its lighting at night, it is rightly nick-named as the Queen's Necklace, It leads to chowpatty beach which is famous for infinite number of cart vendors selling the local Chaat, Pav Bhaji, Malai Gola, Falooda Kulfi & Ice Creams, apart from these, many Iranian restaurants serve a variety of Masala Chai. Leopold café in Colaba is famous for British desserts, while adjacent to it is Bade's which is best known for serving Chicken Tikka Rolls, Baida Roti & Kheema Kabaobs. The city is also known for its Khau Gallis, the street food alleys. In Mumbai, you can enjoy a wide variety of sea food. The cuisine here has evolved with time & imbibes the delicacies of Portuguese, Marathi, Parsi & South Indian cuisine often prepared in Mangalorean style. Things to bring with you to Mumbai, are a big appetite, loads of enthusiasm, comfy walking shoes & super bargaining skills. 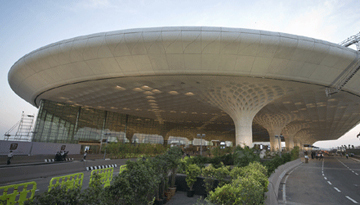 Best Emirates flights to Mumbai from Heathrow with return economy class fares at £409*. Ambassador Hotel Mumbai offers guests a convenient base while visiting Mumbai. 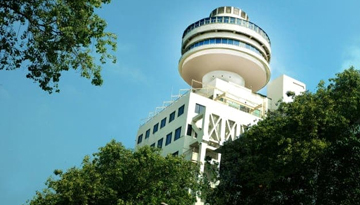 Fly from London Heathrow- Mumbai & Stay for 7 nights with 3 star accommodation. Include Room Only.